الخيار الأفضل للحصول على المتعة والاسترخاء, 10 Cottages يقع في منطقة Town Center في فرانس جوزيف جلاسييه. إن موقعه الجيد الذي يبعد 0.1 KM فقط عن مركز المدينة يساعد النزلاء على الاستمتاع بمعالم المدينة ونشاطاتها. بالنسبة لمن يريد الخروج، هذه بعض المعالم السياحية المتوفرة للزوار Westland Tai Poutini National Park. كما يقدم 10 Cottages الكثير من الخدمات لإغناء رحلتك في فرانس جوزيف جلاسييه. إن واي فاي مجاني في جميع الغرف, محطة شحن السيارات الكهربائية, خدمة التنظيف يوميًا, خدمة غسيل ذاتية, خدمة حجز التذاكر هي جزء فقط من الخدمات التي تميز 10 Cottages عن باقي الفنادق في المدينة. بالإضافة لهذا,تتضمن كل غرف الضيوف مجموعة واسعة من وسائل الراحة . بعض الغرف توفر حتى تلفزيون بشاشة مسطحة, بياضات, اتصال لاسلكي بالإنترنت, اتصال لاسلكي بشبكة الإنترنت (مجاني), غرف لغير المدخنين لإرضاء أكثر الضيوف تطلباً. يمكنك الاستمتاع بالأجواء المريحة التي تقدمها مسارات المشي, صيد السمك, ركوب الخيل طوال النهار. إن 10 Cottages هو خيار ذكي بالنسبة للمسافرين إلى فرانس جوزيف جلاسييه، بما يوفره من إقامة هادئة ومرحة. يُرجى من نزلاء فندق 10 كوتيدجز (10 Cottages) تسجيل الوصول في تيراس موتيل، شارع كوان، فرانز جوزيف. Be very careful this motel charge the same amount for your little baby as an extra adult. We were forced to book another room and paid a few hundred dollars extra. I wonder want kind of regulation makes you consider a 6 month infant as an adult. We had a 3 bedroom cottage. 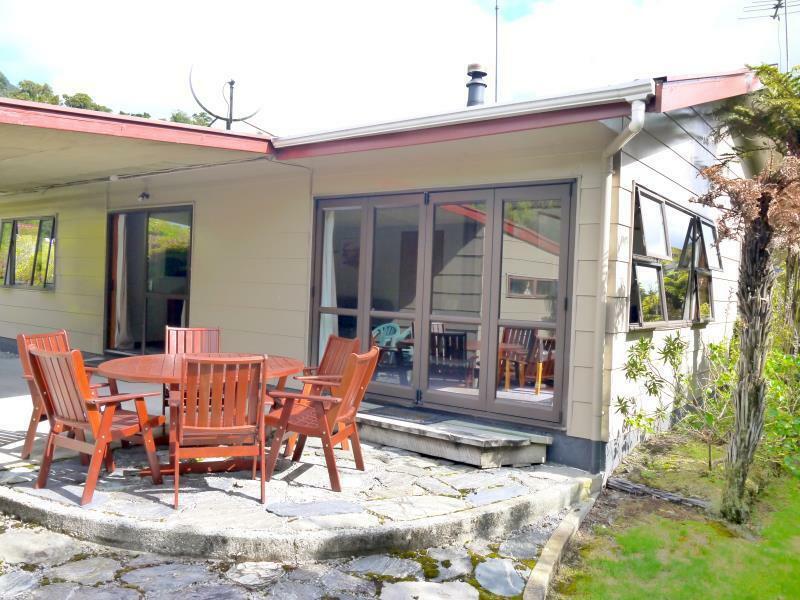 It is surrounded with fence to preserve privacy while just 5 mins walk to the Main Street. Staff are very helpful and help us pre-book helicopter flight before arrival at good price. The cottage is big and cozy. The only drawback is only 1 bathroom in the house. 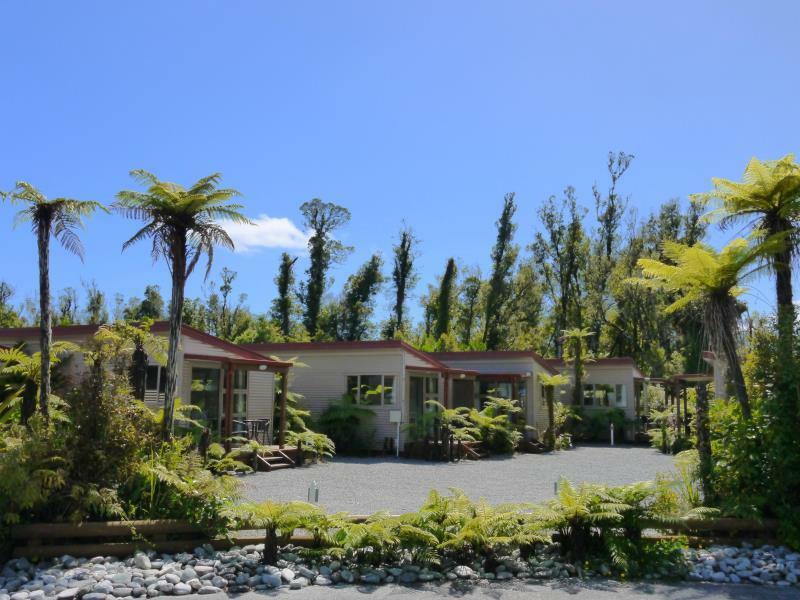 Lovely cottages a short walk from the main road of Franz Josef. Amazing views of the mountains from our cottage. We enquired about heli flights from the reception and they got us a discounted trip and called up to arrange it for us. The room was quite cramp and the cottages were side by side which feels lack of privacy. Staff were friendly and they provided with us some vouchers for the restaurant and attractions nearby. Overall not too bad of a stay. A small and comfy cottage. Conveniently located next to Alice May Restaurant where you can get a 10% discount. The staff also offer a free evening walk to see the glow worms. Only thing I did not like was that it was just off the Main Street but there was hardly any traffic to bother us. 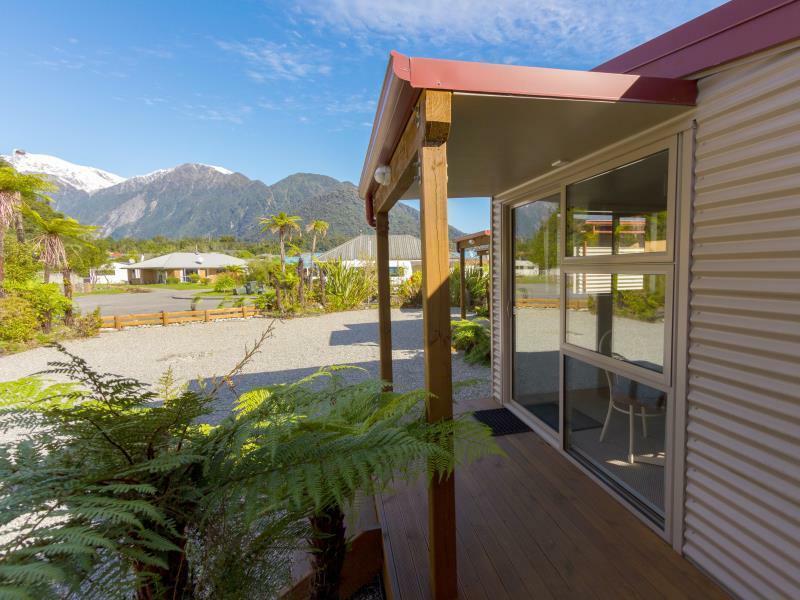 We are happy that we chose to stay at this hotel while we are in Franz Josef. It has our own privacy during our staying and the view from the glass door is awesome during the morning. At night, we can see the star as well! We loved the 10 Cottages. 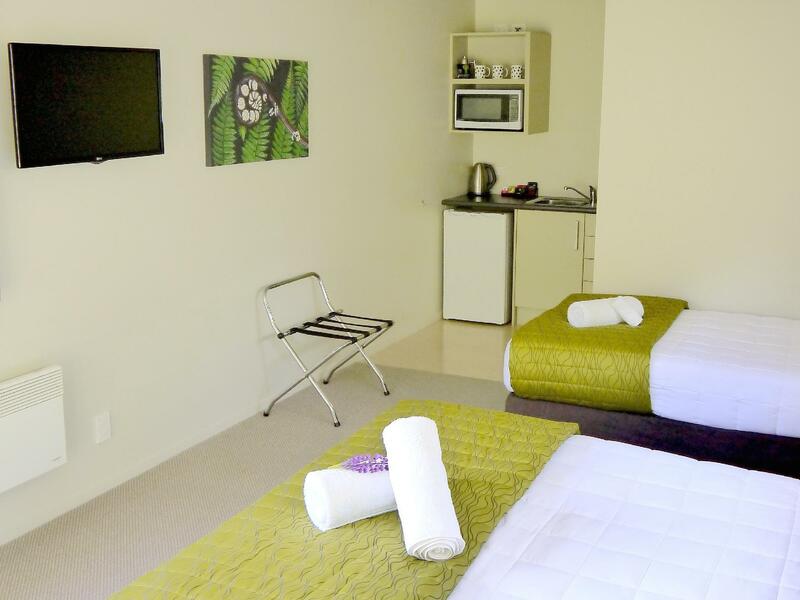 A unique motel that met our needs, walking distance to the town Centre, clean, will kitted out accommodation & a laundry. Excellent value for money would certainly recommend it. We arrived in Franz Josef on a wet, foggy afternoon and the guy at reception walked through all the rooms to help turn on the heating as it was freezing. We also managed to book a helicopter ride at special rates through the reception - he called the company and arranged it all for us by phone. Just as we got settled in, he came by with warm scones, strawberry jam and butter, which was really fantastic as we were all tired by the drive in to Franz Josef. This was repeated on our second day there, we really enjoyed the scones :) The location of the accommodation was very close to one of the walks, which we attempted in the light drizzle. The start of the trek was a 5 minute walk away and was really convenient. It is also walking distance to the supermarket (less than 10 minute walk away). You'll have to put your credit card number down just in case when you check in but when I settled the bill at the end of the stay I was able to pay cash as planned. Would definitely recommend staying here. Liked the setting & grouping of huts, and the beds were good, but for the price I had expected more space, storage, better bathroom, kitchen and furnishings. 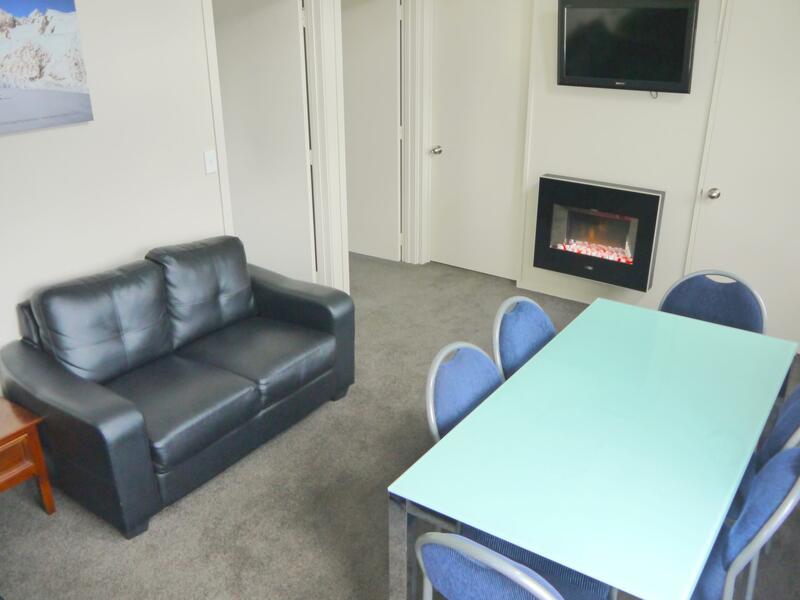 We had paid that price for a new one bedroom apartment with a stone bench top, near the waterfront in Wanaka. This, apart from the beds and service was more camping ground standard. Good if the price matches. A basket of scones & jam was brought around the units - much appreciated. The staff were very friendly, cheerful and helpful. We were very happy with our two night stay, beautiful views of the mountains, great facilities and very comfortable bed and room. The only difficulty we had was finding the reception on arrival to check in, as it is located within the reception of another hotel. We stayed here for my birthday and had a wonderful time, we will be back! Also there is a nice restaurant nearby called the Alice May I would recommend and the full of Beans cafe was also fantastic. Rooms were spacious and clean, with some basic catering. Only complaint was the slow wifi (which is inherent to Franz Joseph so its not their fault). Otherwise, a comfortable and value for money stay. The room was clean, comfortable and cozy. The check in was till 8pm, nonetheless we didn't know about that. We took more time than expected to arrive in Franz Josef, but we were lucky to arrive exactly at 8pm and get the reception opened. 10 cottages are in town-center and newly built. The cottages are self-sufficient and come with a small kitchenette which makes it really convenient. Few rooms come with mountain-view but glad we did not pay a premium for the rooms as for our 3 days stay the glacier was covered in clouds and invisible! Great location, friendly and informative staff, clean and lovely cottage.